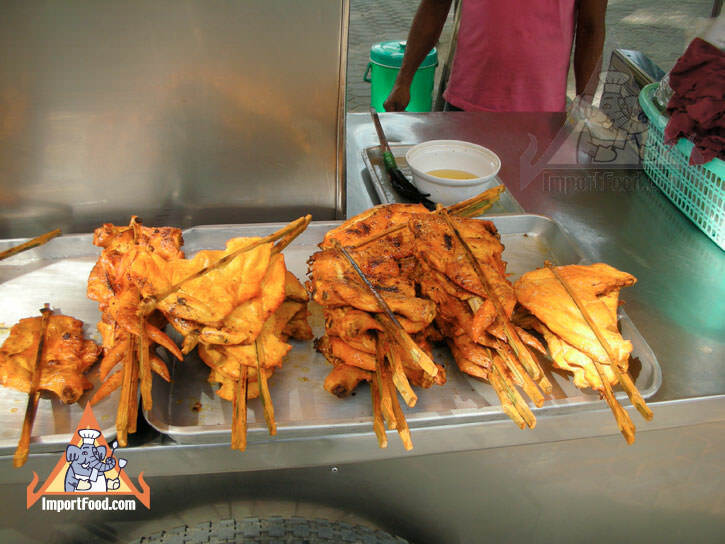 Bang Saen is a seaside resort town with a beautiful oceanfront boulevard that's several miles long, and it's loaded with barbeque chicken vendors who all seem to prepare it in a distinctive style which is butterflied out and held by sliced bamboo sticks tied at each end. 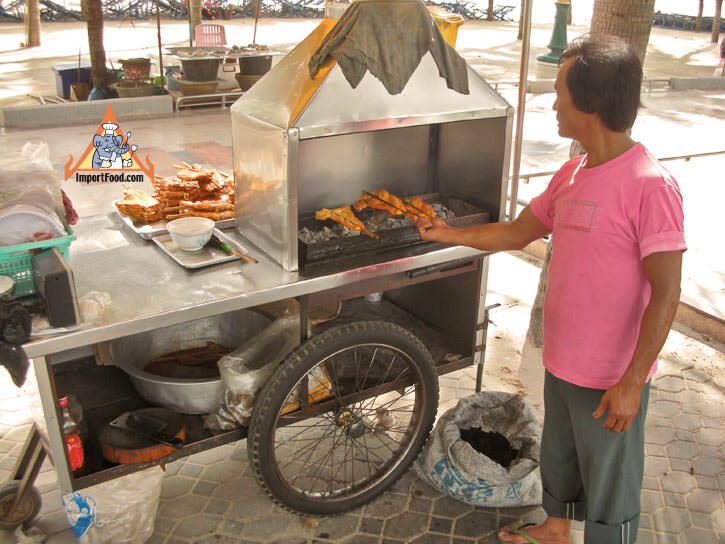 This vendor had his chicken already cooked and on display, but puts it back on the bbq for a few minutes after you order. 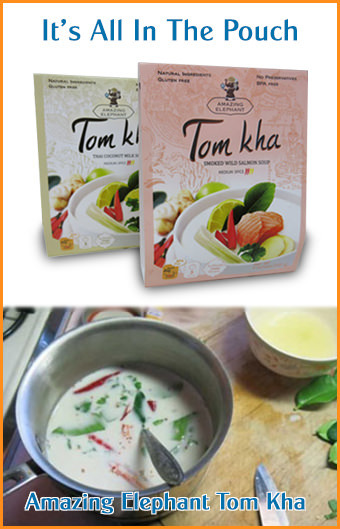 Mix garlic, lemongrass, salt and pepper in a food procesor until it becomes a paste. Remove and place in a large bowl, then add the rest of the ingredients. Put the mariade and chicken in a ziplock bag overnight in the fridge. Place chicken (after discarding the marinade) on a foil lined baking sheet, and cook at 400 degrees F for 40 minutes. Transfer chicken to a bbq, and cook an additional 10 minutes, basting with the thinner liquid from a can of coconut milk. Serve with sweet chile sauce, and if possible sticky rice--the perfect trio. 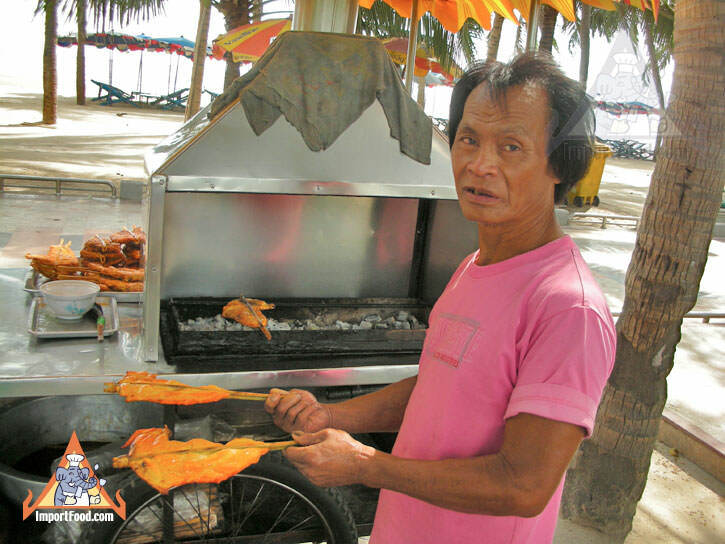 In Bang Saen you will also find vendors of fresh fruit, all kinds of snacks, and a few miles north, along the coastline, there are about a dozen very famous open-air seafood restaurants perched right on the water. 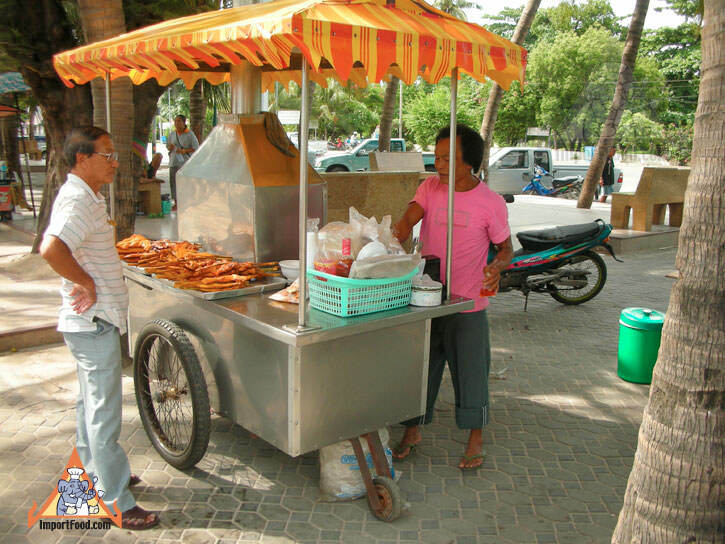 A visitor to Bangkok who has time and perhaps a hired car to assist with navigation, will absolutely love the festive food finds here at Bang Saen. 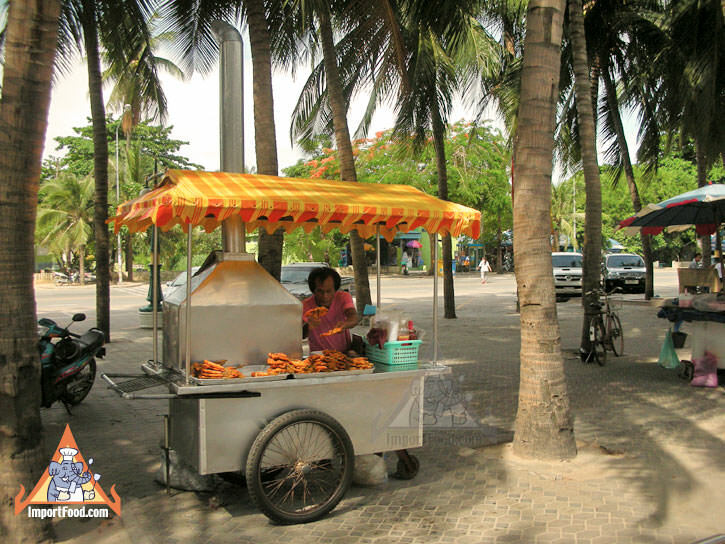 Now that Thailand has completed a massive section of elevated expressway, seaside resort Bang Saen is as close as ever. 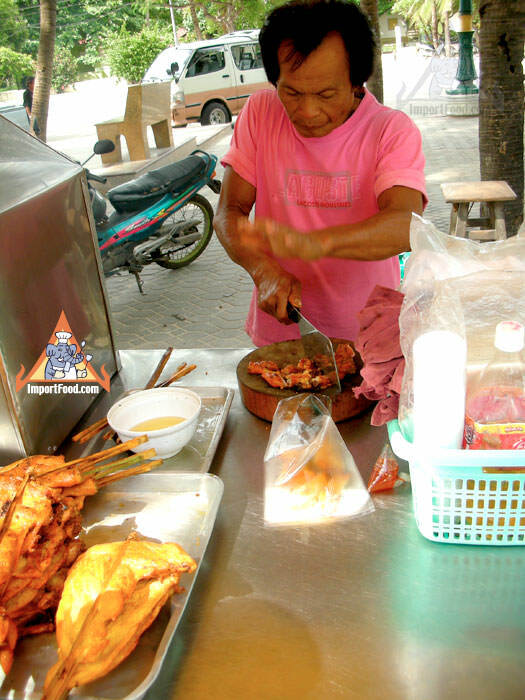 About 90 minutes by car from Bangkok, if you love Thai food it's worth the trip just to enjoy the seafood and famous barbequed chicken. You won't find foreign tourists here, so expect to experience real Thai seaside culture--a surprise considering the proximity to Bangkok but most tourists go a bit further to Pattaya.